Good-natured laughter does more than brighten a person’s day. When we laugh heartily, we also exercise our muscles. Laughter reduces pain, increases job performance, connects people emotionally, and improves the flow of oxygen to the heart and brain. According to some Japanese doctors, laughter also normalises imbalances in the endocrine, nervous and immune systems, stabilises heartbeat and breathing, and can bring temporary relief to sufferers of rheumatism. 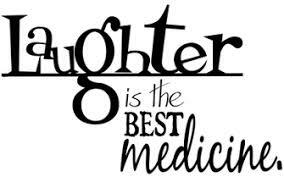 Laughter stimulates sympathetic nerves, thereby boosting the blood flow to muscles and increasing brain activity. Do you find that the daily pressures of life cause you to become tense and make it difficult for you to relax? Emotions have a pronounced effect on the body. Anger and rage, for example, can contribute to or even cause such ailments as asthma, skin diseases, ulcers and digestive troubles. Medical authorities note that one’s frame of mind has much to do with one’s physical condition. Many studies indicate that prolonged stress, negative emotions and the like, weaken our immune system. On the other hand, smiling makes us feel good and laughter even fortifies our immune system. that energise the immune system. Osaka psychiatrist Michio Tanaka also praised the positive influence of laughter. According to Tanaka, “it’s like an effective drug with no side effects.” Laughter tends to relax a person, thereby lessening tension and lifting your spirits.